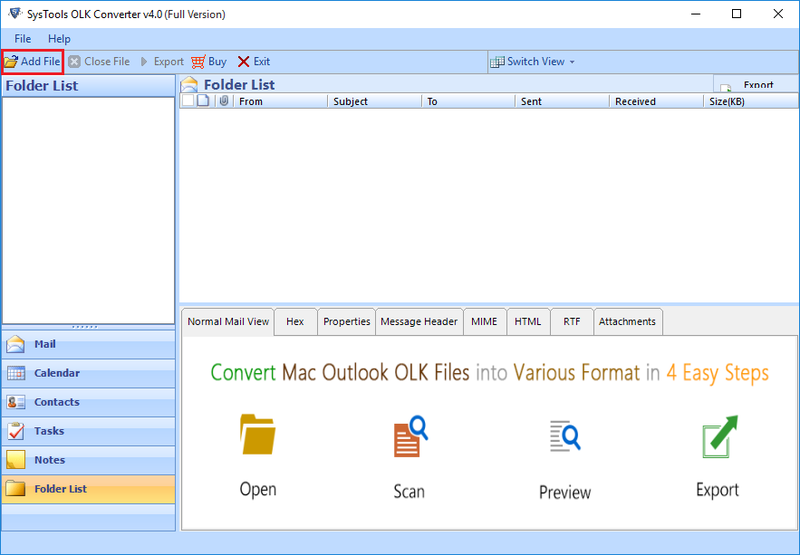 OLK file converter software support conversion of olk14message file in outlook pst file format. 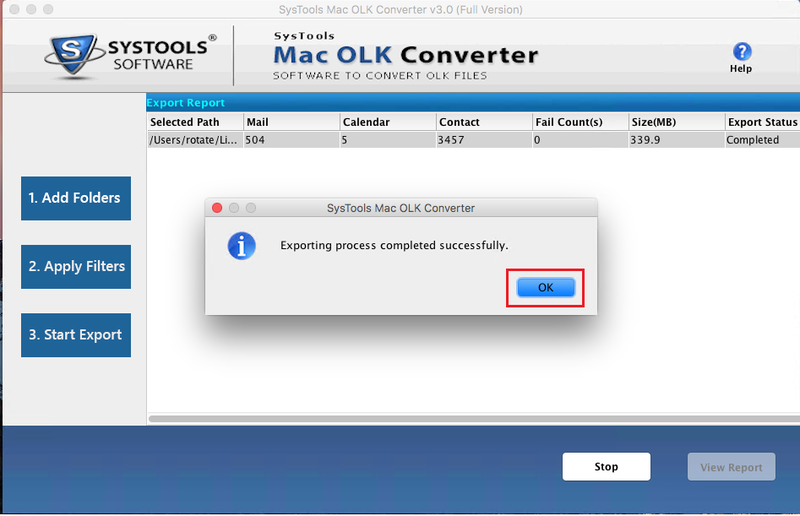 After conversion process user can access resultant file out side the MAC environment. It ensures that the entire data will be converted into pst format. 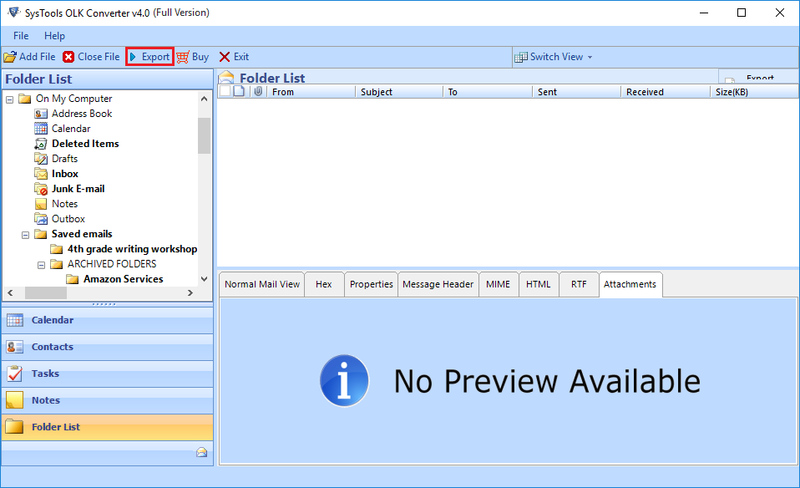 Once the outlook olk14message file is converted into pst format. Then you can split large pst file into small size pst. Simply go to advance setting option and check split pst option and provide required size. Software will automatically split the pst file. Filter the OLK file data by providing date range. 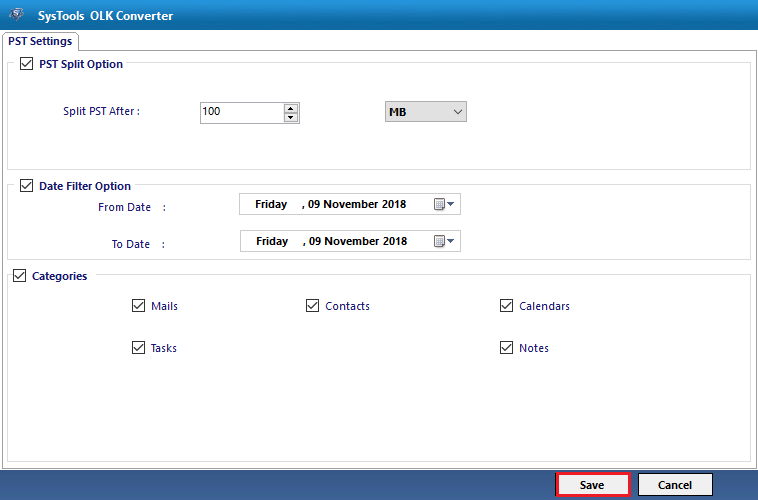 Easily check the date filter option from the advance setting option and provide date range. The olk to pst software will convert only selected data from complete olk14message file. 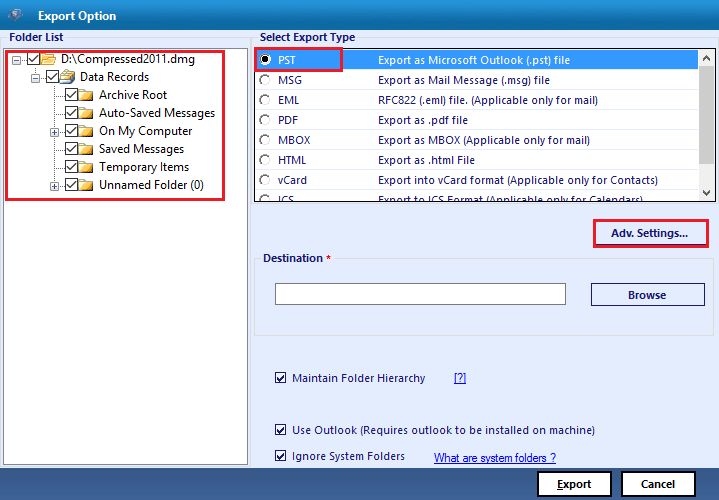 If you want to convert only emails from olk file to pst format then check the category option form advance setting. And then select either Mails or Calenders. Here you can select both option as well. 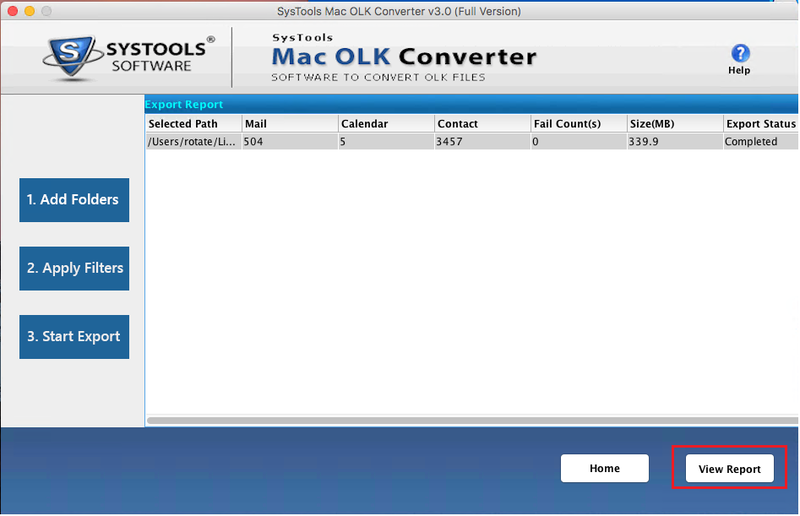 And the olk to pst converter will convert only selected data. After exporting data from olk file software will maintain folder hierarchy to save the resultant pst file. The software ensures to convert complete data from olk file or folder and does not change the original folder structure. Does the software support windows Operating System? 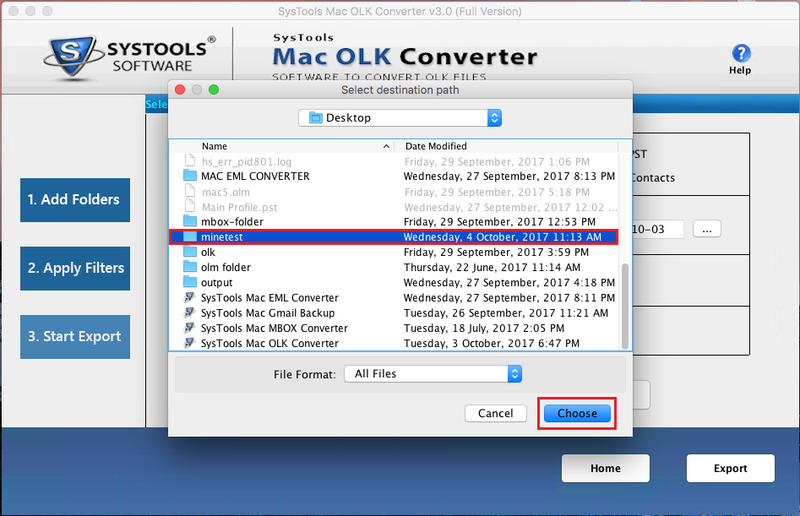 Yes, the OLK14Message Converter Software support windows operating system and user can access these files without any restriction. I have .olk file and software is asking for .dmg file what to do? If your files are stored inside a folder in .olk format then you can browse using Folder option directly. If you compressed your all olk files and saved in .dmz format then you need to browse using File option. Can I convert only selective OLK file into PST format? Yes, Apply filter option before proceeding conversion and then click on the export button. 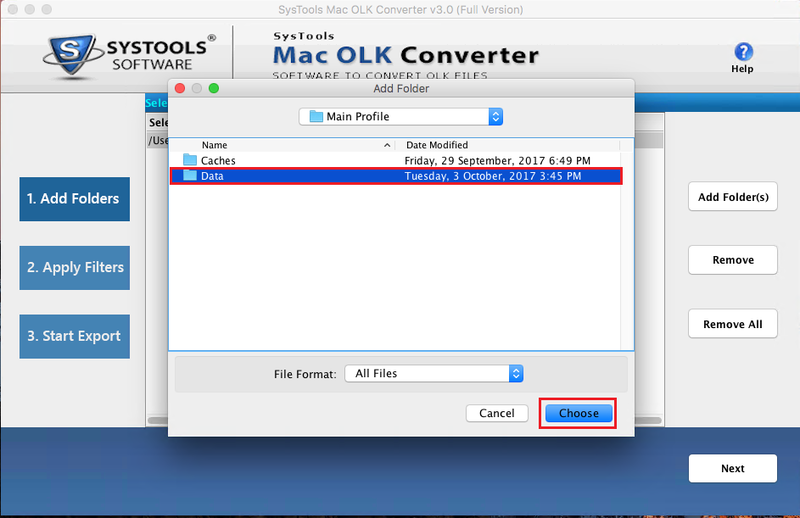 Where can I find OLK14Message file in my system? Why software creates temp folder? Software provides preview option to view the scanned data before stating conversion process. So it stores all scanned data in temporary folder. It creates temp folder in C: drive, If there is not enough space then change it to other drive. Select option to brows the olk file. Now select the PST radio button and hit on Adv. Setting to apply advance features. Now check the required feature like Split PST, Date Filter, and Category and click on the Save button. "One day I need to convert my Mac outlook OLK file data into pst format. I searched for manual method but did not found. 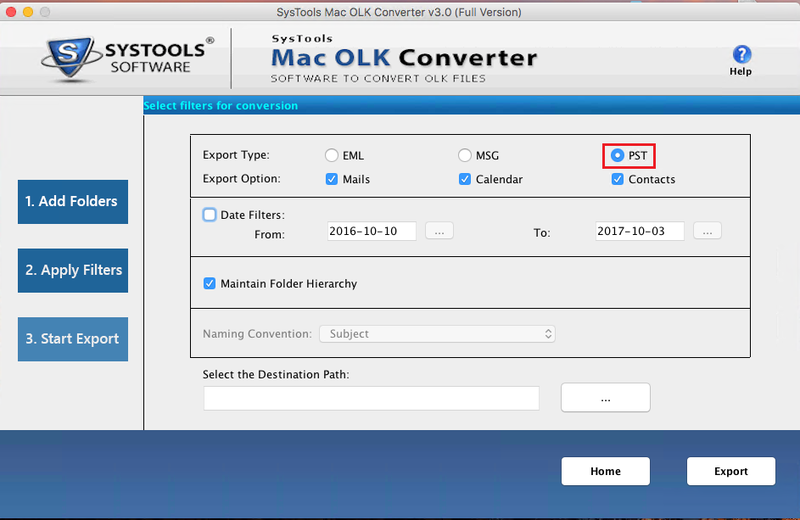 Then I searched for third party tool and luckily found this OLK File Converter Software. Which converted all data quickly and saved in same folder structure. Paying great thank to support team." "I have OLK14 and OLK15 message file and I want to access these data in the windows operating system. Then I purchased OLK file converter software and easily converted both files into PST format. The software quite easy to operate because it does not require any extra skill. Want to thank to developer team." The software easily renders with the conversion of all OLK14 or OLK 15 files to Outlook PST format. It completely extracts and moves all data from OLK files like mails, address books and calendars. The wizard ensures maintenance of file content after conversion is completed. OLK to PST Converter for Mac OS renders with a great option to add as well as export .olk14message and .olk15message files to PST. There is no restriction imposed in terms of migration, hence browsing multiple files is possible. The Add Files/ Folder button is available to browse and add OLK file in bulk. The software is employed with a simple, pocket-friendly, and an interactive interface. It renders users with a layout that makes users comfortable and eliminates all problems in OLK to PST file conversion. The program is proclaimed as best tool as it does not require any help. OLK to PST Converter application offers the users with an employable option to selectively migrate all files in which mails of particular date are stored in PST. Users want to rectify the time duration i.e., ‘From’ and ‘To. The wizard filters messages from navigated OLK files. By employing the wizard, users can easily try their hands on this tool and convert OLK files to PST. The tool even renders with numerous file naming convention alternative to store the files with desired names. 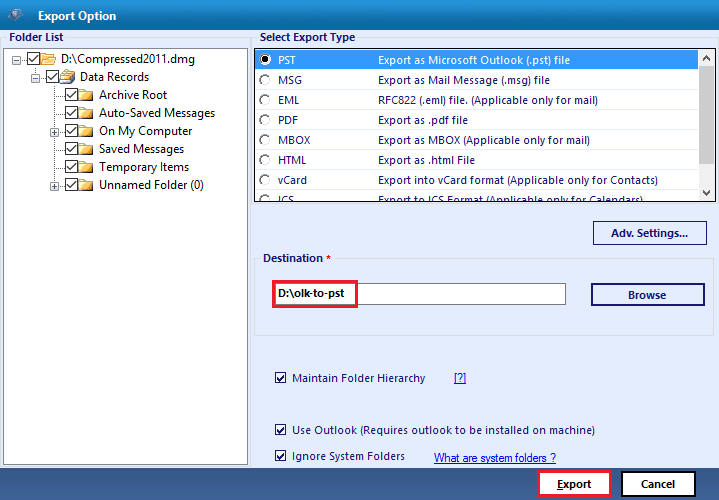 By incorporating this feature, the end users are able to import olk14message to Outlook PST in an easier manner. 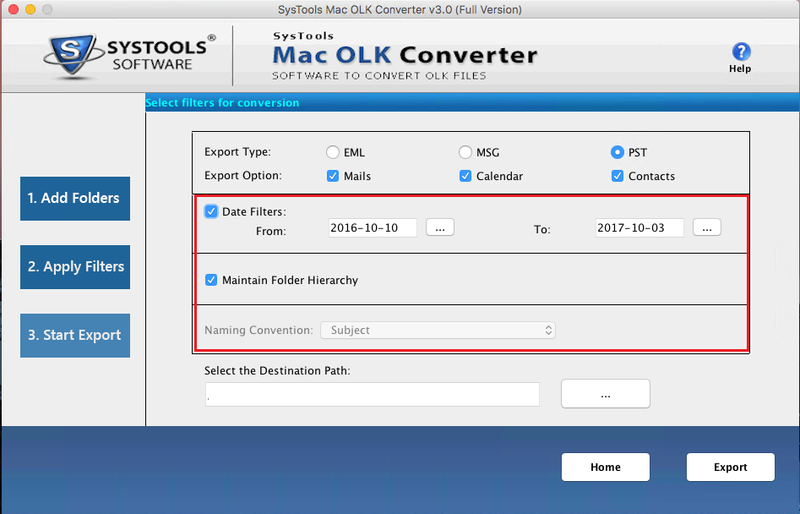 OLK to Outlook PST file converter for Mac OS assures the end users with OLK folder hierarchy maintenance. It implies that the software is completely preserving the folder structure in exporting files in it. It ensures that conversion process is quite an easy task in migration. Is there any technical team to guide for the OLK to PST conversion process in terms of any chaos? Yes, the OLK to Outlook PST Converter application comes with round the clock assistance that can help the users for performing the task of migration in an easier manner. And, thus, can take them out of problems faced. Does the software ensure that no data is lost while completing the task of migration? Yes, the utility keeps all the promises intact when it comes to data migration between the two platforms. Thus, keeps all the global users safe and secure. Is there any naming conventions option available to perform the selective file export process? Yes, the program offers users with multiple options like email filtration on date basis, file naming conventions alternative to complete the task of migration easily. Is it possible to transfer OLK14Message and OLK15Message to PST in batch? 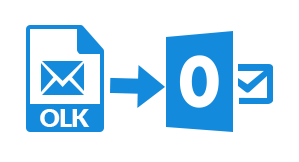 Yes, by incorporating the program, you can bulk move OLK14 and OLK15 message files to Outlook PST. I was using the OLK to PST Migrator tool, and I need to know why is it asking for the .dmg files? Basically, all the files that are saved in .olk format inside a folder can be navigated using Folder Option. In case, you have compressed the .olk files, they get saved in .dmz format. In these circumstances, you need to search the files by using file option. Click on Add Folders Alternative to browse .olk file. If the files have been selected, it will be displayed on the software screen then hit on Choose. Afterward, click on Next button to proceed for file format selection. Users can employ Date Filter and Folder Hierarchy option before initiating the export process. Select View Report for accessing Export Report. "I am really thankful to the developers who have developed such a brilliant program. The best thing about the program is that it is available in two editions i.e., Trial and Licensed one. Thanks Developers! You guys are simply amazing"
"Thanks once again developers for making such amazing OLK to PST Converter software. I really appreciate your work. Seriously, I would say keep on doing this work, and please make more brilliant programs like this. Kudos!"